Hello and welcome back to Early Bird Breakdown. It’s the sixth week of the season, and before diving into the breakdown lets look back at last week’s game. Last week the Packers defense took a step back, though they were put in tough situations all day. Despite playing against the worst redzone offense in the NFL, the Packers defense gave up 31 points to the Detroit Lions. What setup these touchdowns though were turnovers and a muffed punt on special teams. The Packers players look frustrated and Mike McCarthy needs to settle them down or else he may lose the locker room. Rodgers tried to engineer a comeback late, but Mason Crosby missed four field goals and an extra point before making one that did not matter other than as a morale booster as time expired. The Lions won 31-23. The 49ers for this season have been on defense basically what Green Bay was last week – teams can’t seem to move the ball consistently versus them, as they are 10th in total defense, but they are very easy to score on when in the red zone, giving up nearly 30 points per game. This may be one of those games for the Packers where a few big plays and key drives are the ones to connect for scores, as opposed to a consistent, grind-it-out game where it comes down to wearing a defense out or kicking field goals. No one on San Francisco poses any real match up issues for Green Bay. Corner Richard Sherman is still a solid corner, but is not the dominating presence of the past. Combine that with Green Bay having likely a short field due to the issues on San Francisco’s offense, this should be a good chance for some of that offensive frustration the Packers have been having to ease off. This should be a week where the Packers defense gets to look Super Bowl caliber once again, similar to the Buffalo game. 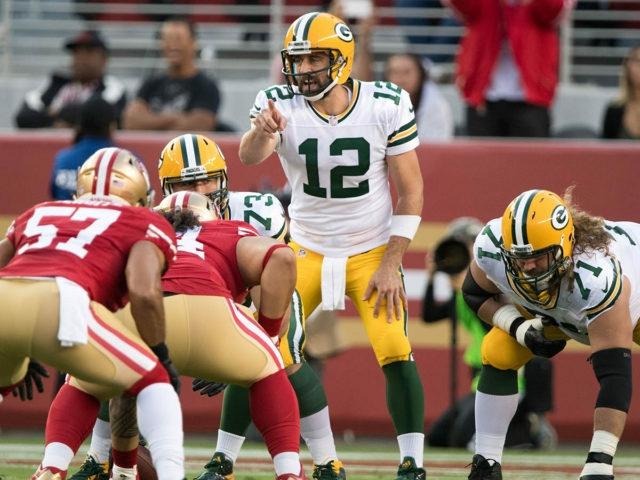 San Francisco has a smart offensive minded coach in Kyle Shanahan but he cannot engineer an offense that should threaten the Packers’ defense since their franchise QB Jimmy Garoppolo went down with an ACL tear in week three. Backup C.J. Beathard has thrown two picks in each of the last two games since becoming the starter. I expect the Packers to make that three straight, with the entire secondary looking to pounce on plays this week. To cover for their backup QB, the 49ers have been forcing the run to grind games down and it has been working for them. They have the fourth best rushing attack in the NFL led primarily by sophomore back Matt Brieda. Good news for the Packers though is Brieda is questionable for the game with an ankle injury, meaning even if he does play he likely will be hobbled. Alfred Morris, who has been splitting caries this season with Brieda, is only averaging 3.7 yards per carry (Brieda has been averaging an astounding 7.5 yards per carry) so the 49ers best aspect of their offense will likely be hobbled. It should be a fairly clear sky but a cool 36 degree kickoff in Green Bay. This game has all the makings of a either a blowout win to right the ship or an implosion so improbable it might cause a downward spiral for the season. The 49ers are without their starting quarterback, their backup has thrown two picks in each game, their best running back is hobbled, and while their defense is alright they have given up nearly 30 points a game. I cannot see how the Packers lose this game, which is why this is the exact sort of match up heading into the bye week that the Packers MUST win. Because if they do not…well, the locker room might become divided against coach Mike McCarthy. But I do not see that happening. As wonky as this season has been across the league with upsets, this one is not happening. Packers take care of the 49ers easy, and walk into the bye week with a big win. 34-20 Packers win. This entry was posted in Early Bird Breakdown, Stuart Weis and tagged 49ers, Aaron Rodgers, green bay, Jimmy Garoppolo, mike mccarthy, Packers. Bookmark the permalink. Packers are a better team. I hope they play with energy and are aggressive against the 49ers. I suggest watch the sidelines with coaches and players, and players with players to see the communication and energy. I’ve been watching every game and it seems like we have little to none. Just my take. Watch and see! 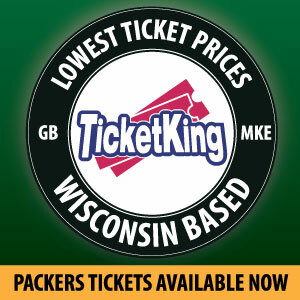 A must win against an inferior QB, injury plagued team, and at Lambeau. NO EXCUSES MM.